Hello all, I am Captain Corbin the magic pirate and I perform water safety shows. 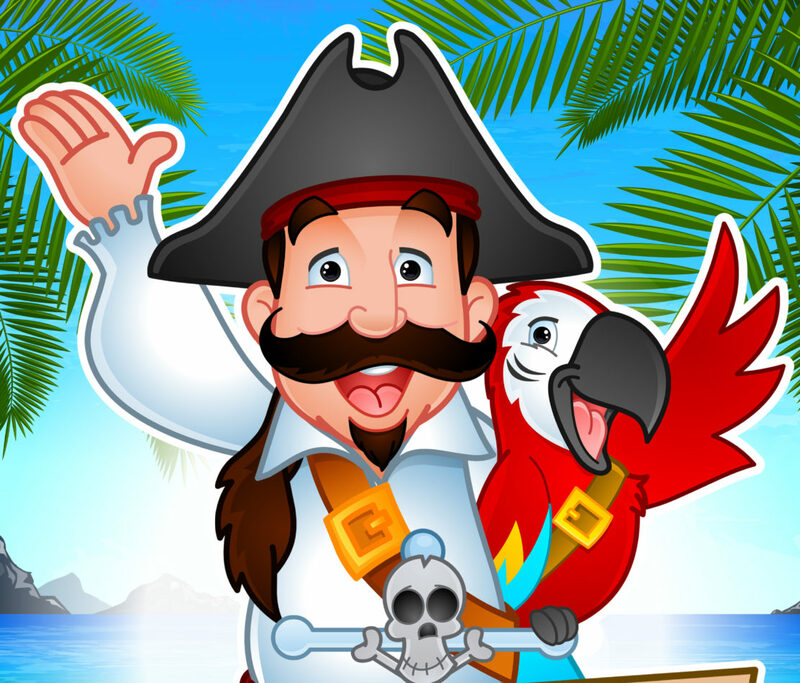 My Pirate themed water safety shows are a lot of fun, full of family friendly magic and water safety tips. I have been performing magic shows all over North America for over 25 years. As a result, you can be certain of a skillful, entertaining and professional show every time. 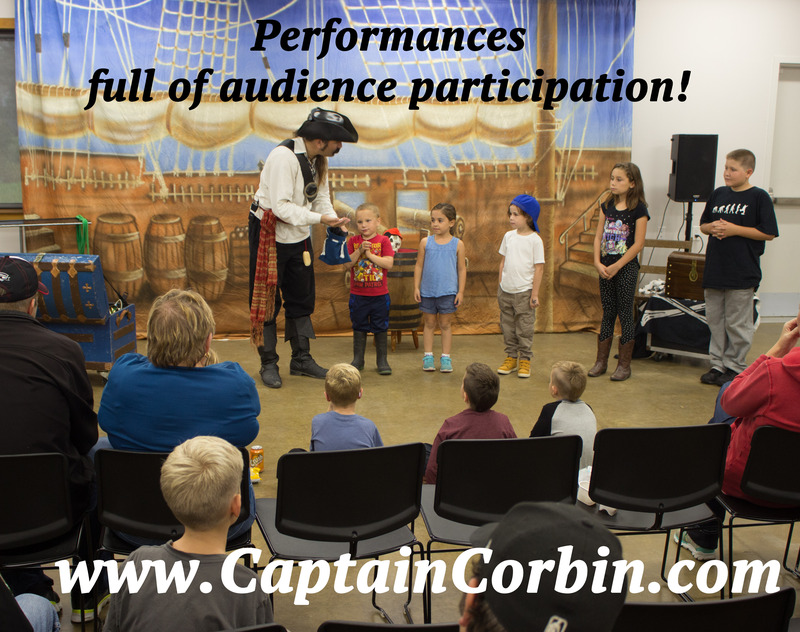 Children learn best when they are having fun, and Corbin’s shows are always a lot of fun. Full of interactive magic, audience participation and important water safety tips. As a result the children learn lessons that they will remember for a long time. 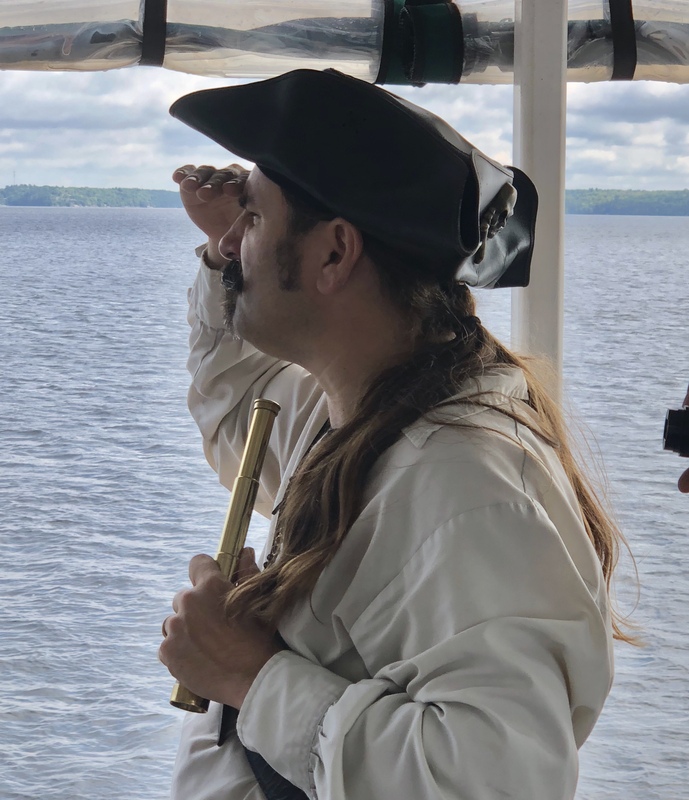 Everyone has a blast at Captain Corbin’s pirate shows. (and often some get a blast of water!) The show is family friendly, designed for children’s entertainment. However the Adults in the audience will have just as much fun. I always perform the kind of show that I would want to watch. As a result, throughout the show there is a lot of humor just for the adults and impressive magic that will have the parents in wonder. The humor is always family friendly and fun. As as result, this show is perfect for any event. School assembly shows, fair or festival entertainment. Even church picnics. Wherever quality children’s entertainment is welcome. My water safety shows are called Oceans of Magic. During this 45 minute show the children learn about water safety and water conservation. The shows are all about 45 minutes long, however I stick around after every performance to meet and greet with the children. The Water Safety shows have two main messages. We first talk about water safety as it relates to swimming in pools or other bodies of water. We also discuss Water conservation at home. The magic is incredible, pirate themed and a lot of fun. Card magic, magic with silks, rubber fish and water. Always a lot of fun and interactive, with some children coming on stage to assist. I am based in Ontario Canada, however I perform all over North America. As a result, you can view my touring schedule on my facebook page. In order to book a show, once the time, date and location have been discussed questions about the performance area are asked. I can perform in a wide variety of areas, however I need time to customize the show for your event. Water Safety shows are a lot of fun, and great when customized to be a perfect fit.